I can't believe how long it has been since I last posted. Time has been flying by and Pippin is growing up fast. 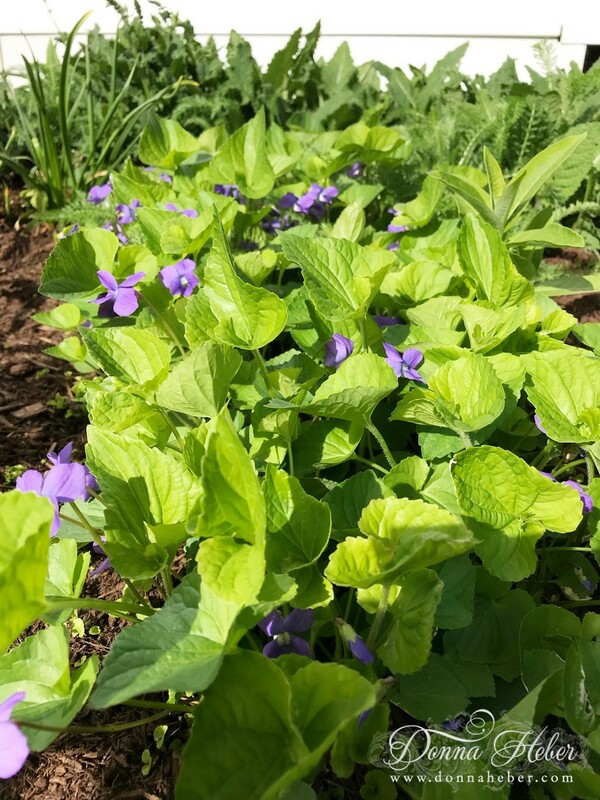 The gardens are looking great! Would you like to see what has been blooming over the past month or so? Please come along and stroll with me. 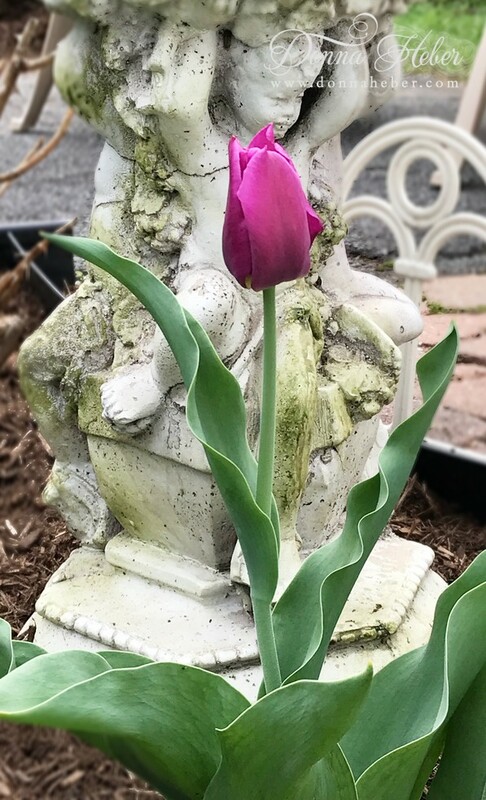 Purple tulips looked so stately this year. 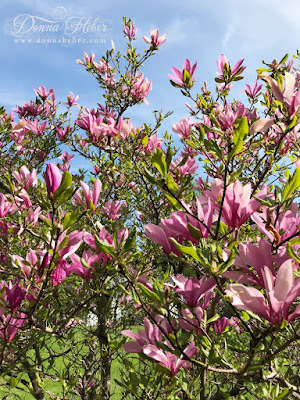 Magnolia blooms in pretty hues of pink. They remind me of tissue paper flowers. 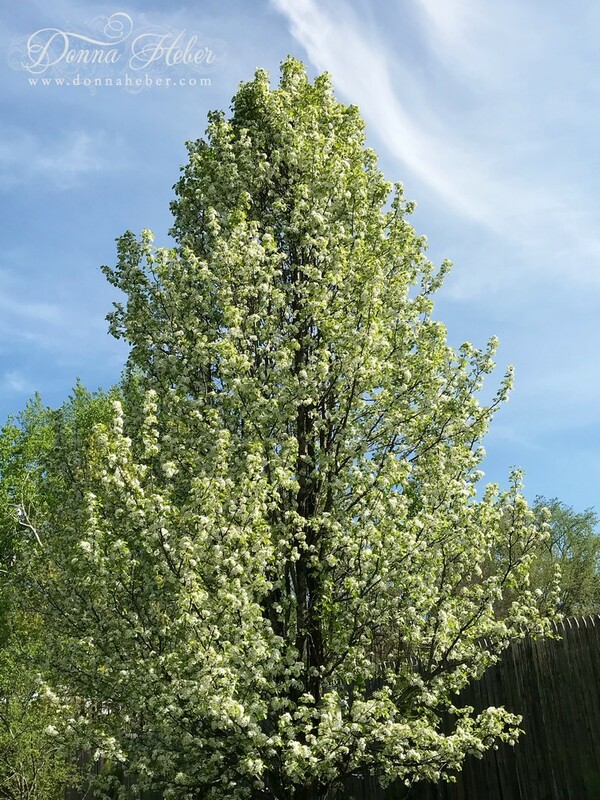 Pear tree covered in white blossoms. 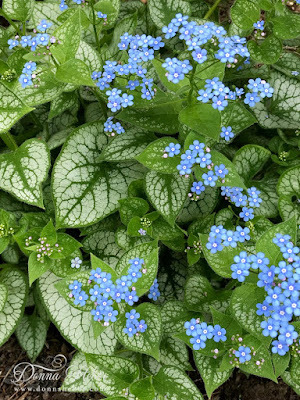 Brunnera 'Jack Frost' with beautiful forget-me-not like flowers and frosty heart shaped leaves. A spring favorite of mine. I have five different varities of lilacs now. The old fashioned variety has started to fade. 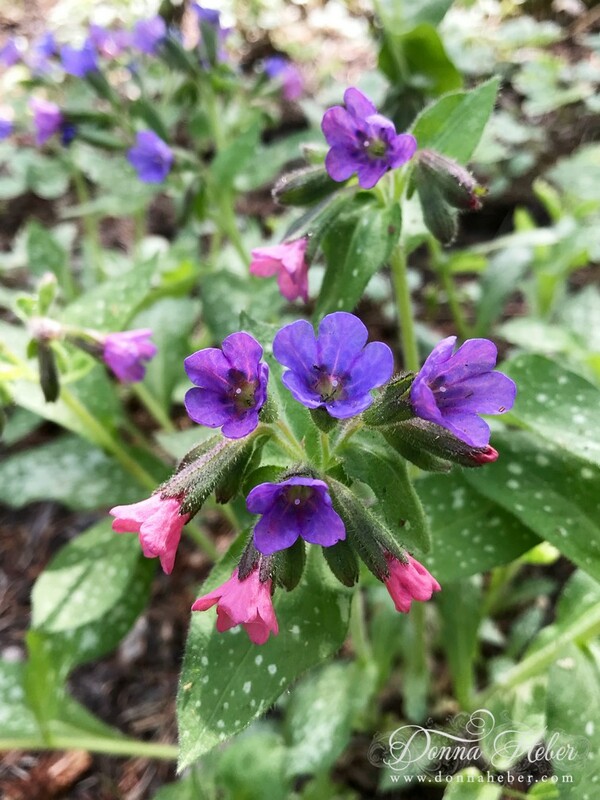 Pulmonaria so bright and cheery. The ever so dainty bleeding hearts. 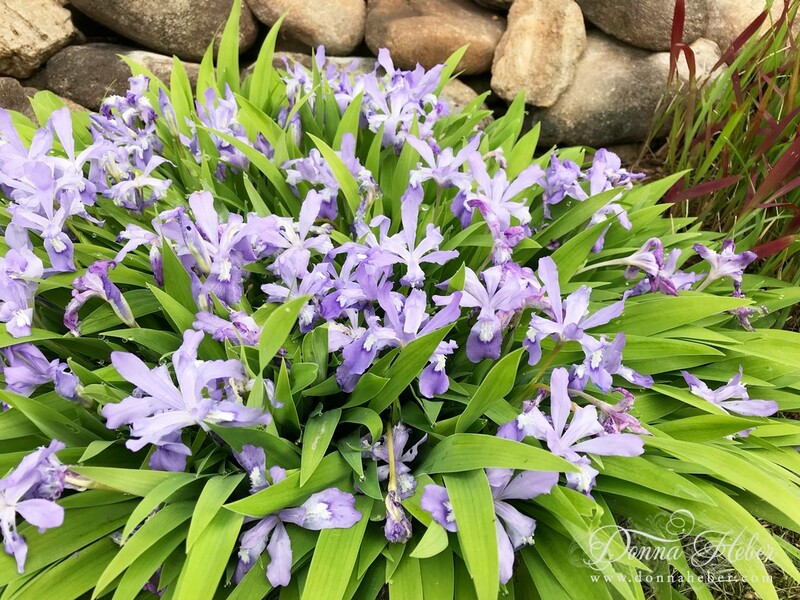 Iris 'Cristata' blooming in front of the pond. I just love this time of year. All the blooms make me smile. I will be back to share some photos of Pippin with you. Don't forget you can follow Donna's Designs on Facebook. Hello Donna, gorgeous flowers and blooms. 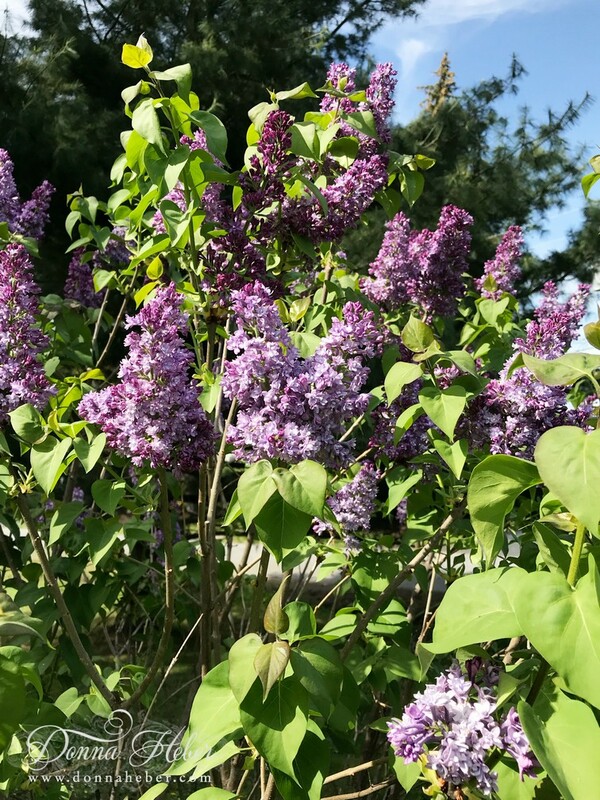 I love the magnolia and the lilacs. Beautiful spring flowers and post. Happy Friday, enjoy your weekend! did a great job on the pictures as well. Lovely. Hope this finds you well and happy hon. 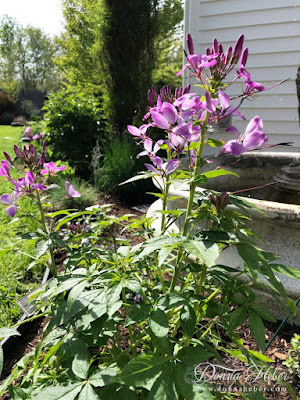 I have garden envy! So pretty! Good to "see" you back. Such beautiful flowers and trees. YES! 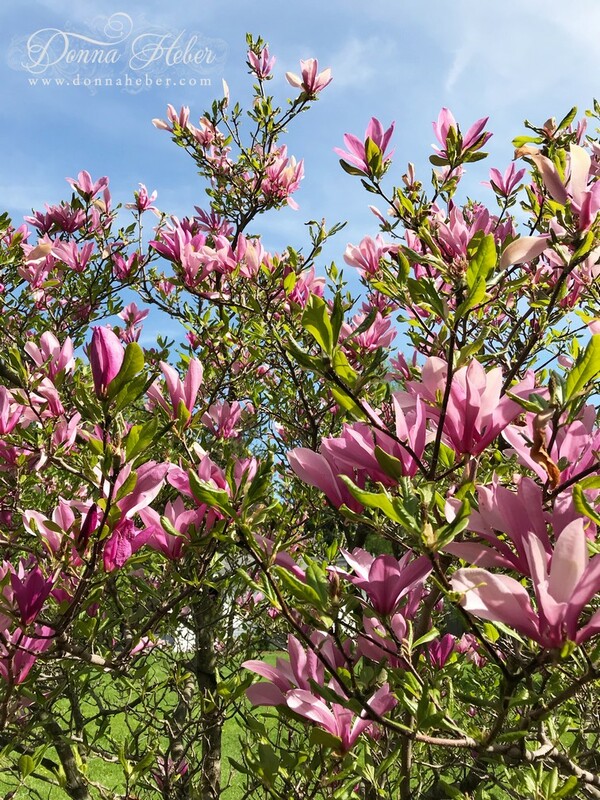 Spring is so wonderful. 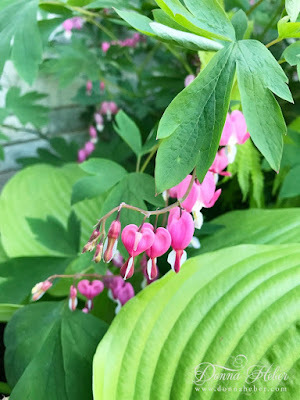 Love your Dicentra, we have lost ours somehow? and we have got seedlings of Cleome for the first time, I hope they come like yours. Your blooms and flowers are stunning.